After years of resistance, then reluctance, then experimentation but never finding quite the right 'fit,' I am now meditating! 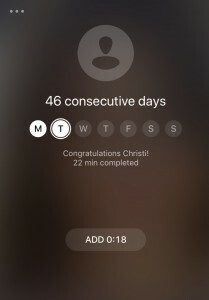 Today, according to the Insight Timer app, I am celebrating 46 consecutive days of meditation. To most of the world, this may not seem particularly blog-worthy, but for someone who resisted meditation for a long time, then attempted – for the last decade or so – to establish some sort of meditative practice but never lasting more than a handful of days, this feels pretty substantial! 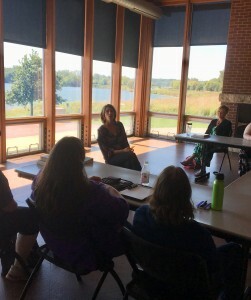 This fall, I invited Allison Peet of From Within Wellness to lead some members of the ASPIRE Success Club in a meditation mini-workshop. Allison is a qualified MBSR™ (Mindfulness Based Stress Reduction) Instructor trained at UMass Medical Center for Mindfulness founded by Jon Kabat-Zinn, PhD. The peacefulness I felt after our time with Allison was the kickstart I needed to invite meditation a bit more regularly into my life. Some ASPIRE Success Club members learning meditation basics. I say “oddly enough” because I am not an app person at all – I have less than a dozen installed on my phone and rarely use any of them other than Instagram. But Insight Timer has come up in ASPIRE Success Club discussions many times over the years, so I downloaded it a few years back and experimented now and then. For the past couple of months, however, I have become more focused with it – using search terms like “future self” or “confidence” or “relaxation,” depending on what I’m seeking – and playing with the guided meditations that appear. I am loving it! Thanks for keeping track, Insight Timer! Sitting vs. lying down. Group vs. solo. Guided vs. independent. Focus on a mantra or visual vs. focus on the breath. I have done a great deal of experimenting! One of my favorite approaches to incorporate periodically is a gong bath meditation, which Deb Jennings of Sounds for the Soul leads with her colleagues. I’m not sure I could accurately describe the experience, but I leave it feeling refreshed and soothed, and I always sleep extremely well that night! 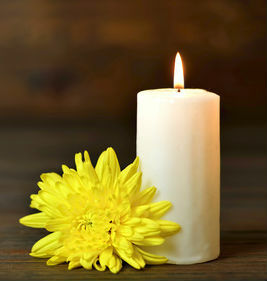 Deb has also led ASPIRE members in unique sound healing activities – they are always beautiful and deep experiences. 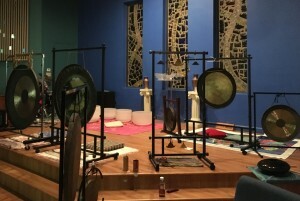 Gongs and more from a recent group meditation experience. I’ve read several on the topics of meditation and mindfulness, but two in particular really made an impact – both of which I’ve written about previously: Mindfulness by Mark Williams and Danny Penman, and 10% Happier by Dan Harris. I will write another post about the benefits I have experienced from my practice, but suffice it to say they have truly surprised me. As someone with daily journal and prayer practices, frequent nature walks, and other regular contemplative acts, I wasn’t expecting much to change from incorporating meditation. The results have been profound and noticeable – enough to keep me returning every day. Do you have a meditation practice? What has helped you keep it going? Feel free to share your thoughts below! We learn so much in the ASPIRE Success Club! Come join us – but hurry: Enrollment closes on Friday, November 30!